For a man whose body of work is as incredible as A R Rahman's, one has to be that much more careful when it comes to rounding up his best movie soundtracks. The question is often not what to include, but what to leave out. Ever since he first exploded on the scene with Mani Ratnam's Roja, the Oscar-winning musician has single-handedly raised the bar for Hindi film music. After some mediocre work in recent films like Ada, Jhootha Hi Sahi and Robot, Rahman regains his lost touch with Rockstar, a slow-burner of an album that exemplifies his sheer versatility. Do you think Rockstar is among Rahman's career-best so far? Take this poll to vote for your favourite A R Rahman soundtrack. 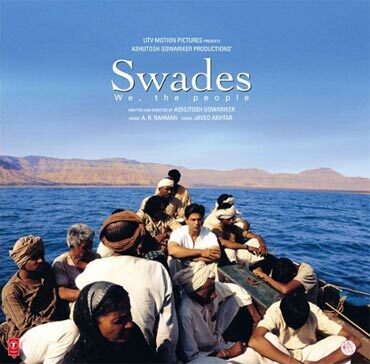 Joined by singer Mohit Chauhan who is all over this soundtrack, Rahman fuses it with a strong undercurrent of Sufi music. 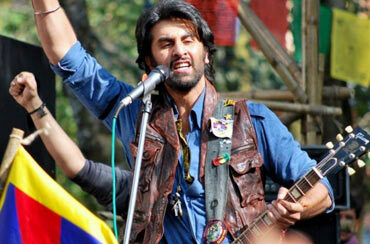 Sadda Haq is any rockstar's dream and its picturisation on Ranbir Kapoor enhances its appeal. That said, the real gem is Kun Fayakun, with words taken from Quranic verses and rendered with divine abandon by Rahman, Javed Ali and Mohit Chauhan. Among the most consistent Rahman soundtracks, Delhi-6 shimmers with a wide range of tunes and influences. If Arziyan brings mysticism to the fore, Rehna Tu sparkles with sheer romanticism and Genda Phool, with rustic charm. Despite winning him two Academy Awards, Slumdog Millionaire isn't considered Rahman's finest. It looks like a score that was done keeping the film's visuals in mind but even in a mediocre soundtrack like this, Rahman proves he's streets ahead of his nearest competitors. There's a lot of variety here -- from the peppy Pappu Can't Dance Saala to the hummable Kabhi Kabhi Aditi, there's something for everyone. That said, the jazz-inspired Tu Bole Main Bolun (sung by Rahman himself) is the pick of the lot. There's little doubt that Rahman reserves his best for mentor Mani Ratnam's films. Guru is a fine album, full of interesting sounds. Tere Bina casts its melancholic shadow over the entire film, capturing the pain of separation and the magical feeling of being in love. It's a special creation in which Rahman is at the height of his power. Possessed by Sufi music most of his life, Rahman goes in for Ik Onkar and gives it a beautiful twist. The title version is brought to live by Daler Mehndi's voice nurtured on bhangra beats. Goes without saying, Rubaru, Tu Bin Bataye and Luka Chhupi must rank alongside the finest music in Hindi cinema. This is not a very experimental soundtrack; Rahman plays it straight and rather safe. However, he sets a rule early on -- of Indianness -- and follows it doggedly throughout. Rahman builds on this ordinariness of bucolic life and surprises you with just how much of Indian ethos his music represents. Kabhi Neem Neem was on everybody's lips when the promos of this film first came out. On the other hand, Rahman pumps in peppy beats in Fanaa. Yuva is not a perfect soundtrack but worth making a note of when one speaks of Rahman's trajectory. You are likely to find one of Hindi cinema's most romantic tunes in Chupke Se, sung mellifluously by Sadhana Sargam. Likewise, other songs oscillate between magical romance and melancholia. Teaming up with Gulzar who found his very own R D Burman in Rahman, the two would go on to forge a great creative relationship. Dil Se often carries the burden of Chhaiyya Chhaiyya, its most popular track but that's such a misnomer, for this is the same album that has Jiya Jale sharing space with Satrangi Re. It announced Rahman's arrival on the scene. The landscape of Rangeela's visuals is impossible to imagine without Tanha Tanha, Mangta Hai Kya and Rangeela Re. If you ask Rahman his personal favourite a few decades from now, he might, in all likelihood, cite Bombay and Roja. Bombay has a timeless quality to it; the fact that we remember Kuchi Kuchi, Humma Humma, Kehna Hi Kya and Tu Hi Re demonstrates its enduring appeal. Don't scoff at this choice. This is a massy album, a musical even, with great emphasis on song and dance. 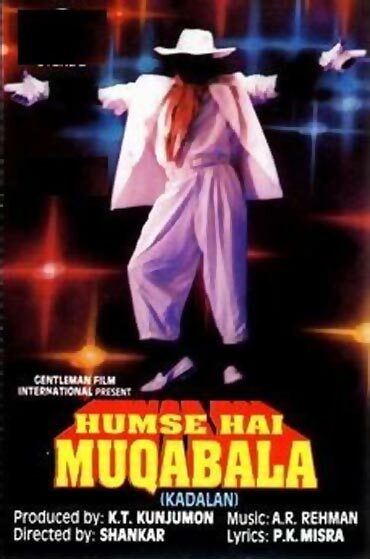 The very idea to include Hum Se Hai Muqabla is to show that Rahman is equally at home with commercial sound. This is to Rahman what Guide is to S D Burman or Shree 420 is to Shankar-Jaikishan. Combining Tamil influences with experimental Western arrangement, Rahman's Roja would change film music forever. If you are ever looking for a key to Rahman's sound, look no further than Roja -- in it, you will find all his best-kept secrets. In its assessment, Time magazine hailed Roja as, "Totally Tamil, totally Rahman." What do you think of the new Rangeela song?